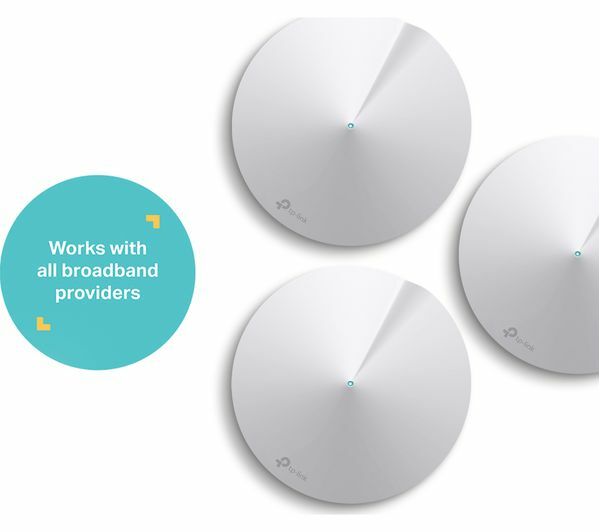 Get rid of WiFi dead spots and make sure you always have the best wireless connection to the internet with the TP-Link Deco M5 Whole Home WiFi System. 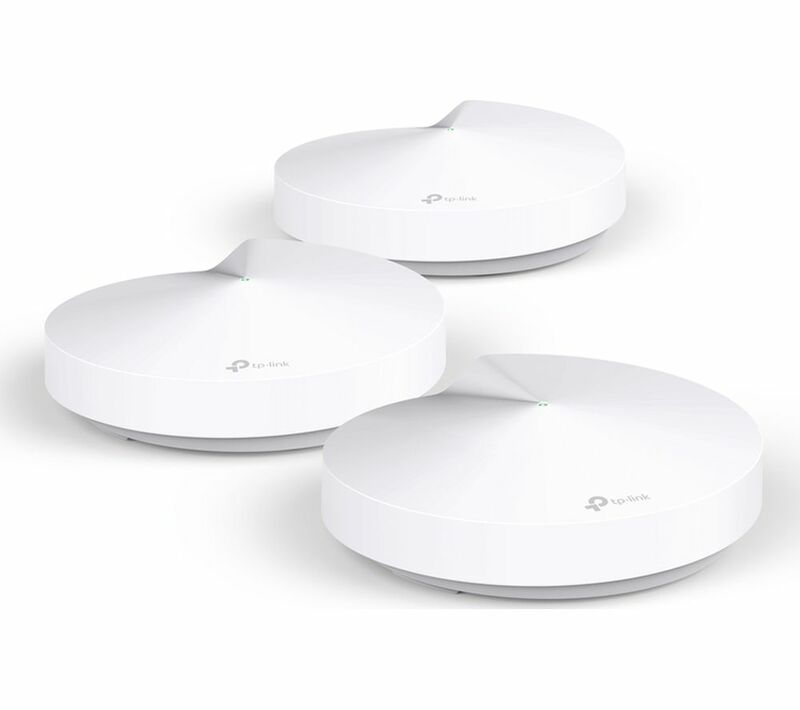 No matter the size or construction of your home, Deco Whole Home WiFi is able to create a seamless connection that covers up to 4,500 square feet without any loss of signal. 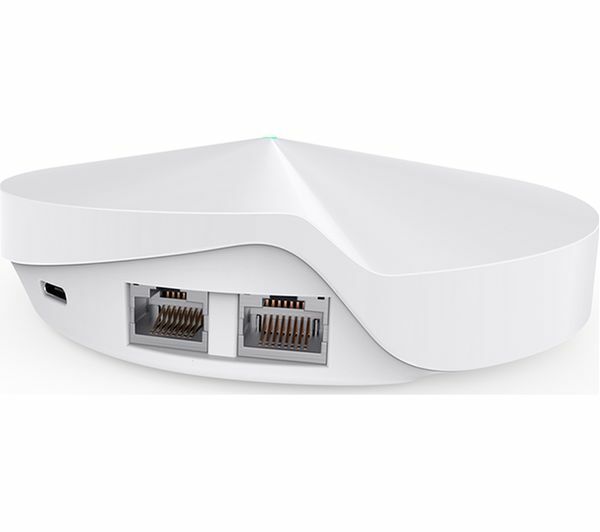 As you move around your house your device will automatically be passed to the best connection and you won't have to switch networks, sign in, or lose your signal. 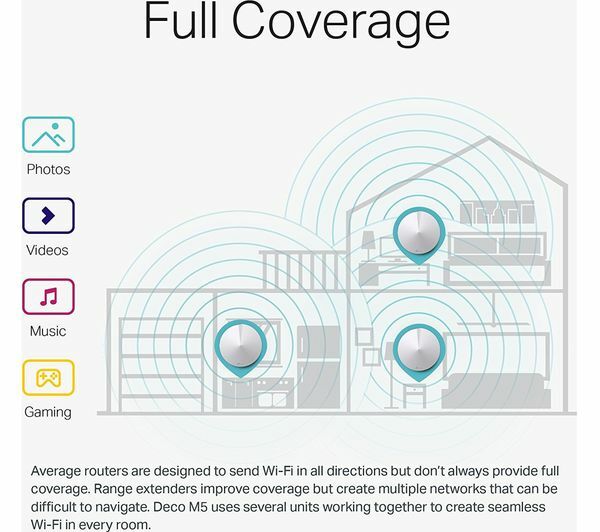 Deco Whole Home Wifi is easy to set up using the Deco app, as it takes you step by step through the process – even helping you find the perfect spot for each unit so you get the best coverage. 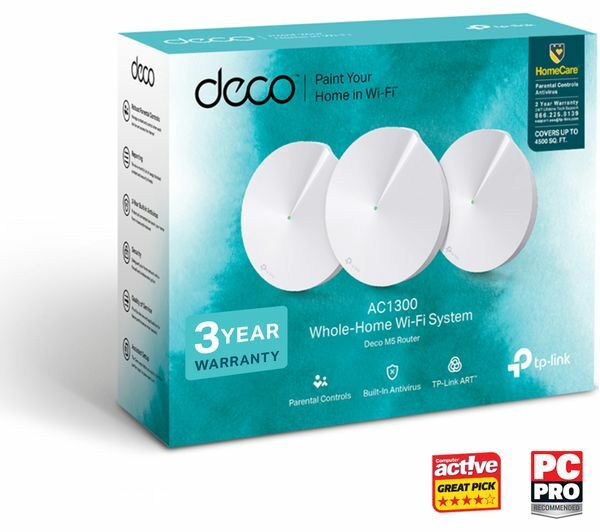 If you want to expand your WiFi to external buildings or if you move into a larger house, you can easily add more Deco M5 units as you need them. 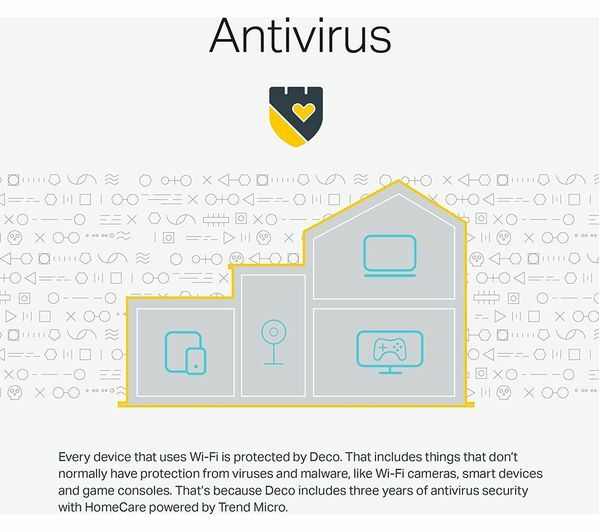 To guard you against viruses and malware, Deco has three years of powerful built in antivirus, with automatic updates so that malicious attacks will be blocked. You can also blacklist devices that you don't want using your network – to keep your WiFi secure. 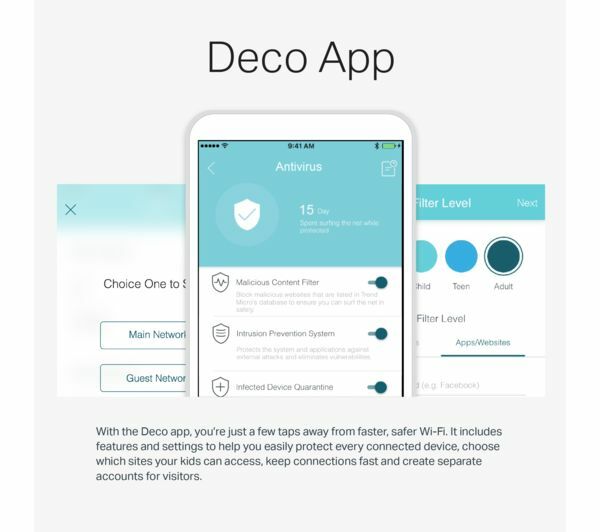 Deco has impressive parental controls so that you can manage how much WiFi every device is using and filter content by age groups. If you want everyone to get involved during family dinner you can even pause the internet so they can't use the WiFi anymore.